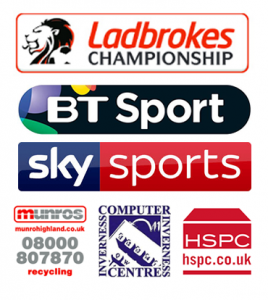 ICTFC are on the road again tomorrow as they travel to face Alloa at Recreation Park in the Ladbrokes Championship. The Caley Jags will be looking to maintain their unbeaten start to the season and extend their 20 match unbeaten run. George Oakley is close to a return but unlikely to play this Saturday. Coll Donaldson serves his one match ban after being sent off against Dundee United. Alloa got their first league win of the season last week against Partick Thistle at Recreation Park. Jim Goodwin’s side have proved to be no pushovers this terms and drew 2-2 in the last meeting between the sides thanks to a late Iain Flannigan penalty. The Wasps have also advanced to the quarter finals of the IRN-BRU Cup this term and have knocked out fellow Championship sides Dundee United and Dunfermline. Supporters Buses / Car Parking Supporters buses should park in Morrisons car park, Car parking is available in Morrisons and town centre car parks. There is no charge. Disabled Supporters: There is a communal disabled area under the main stand, which offers cover from inclement weather. Roadworks: There is roadworks outside the stadium which are controlled by traffic lights. This may result in a 10/15 min delay.